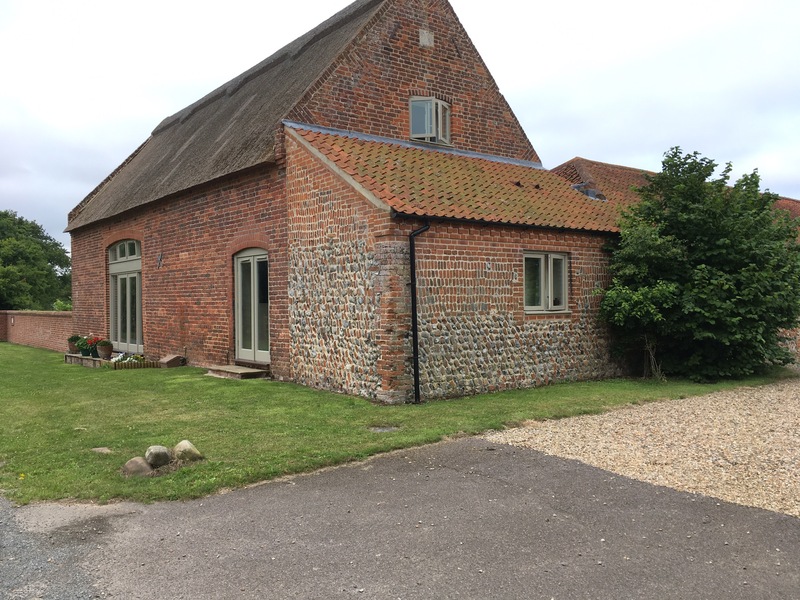 Took Mum to Norfolk to see East Ruston Old Vicarage. A feast for the eyes. 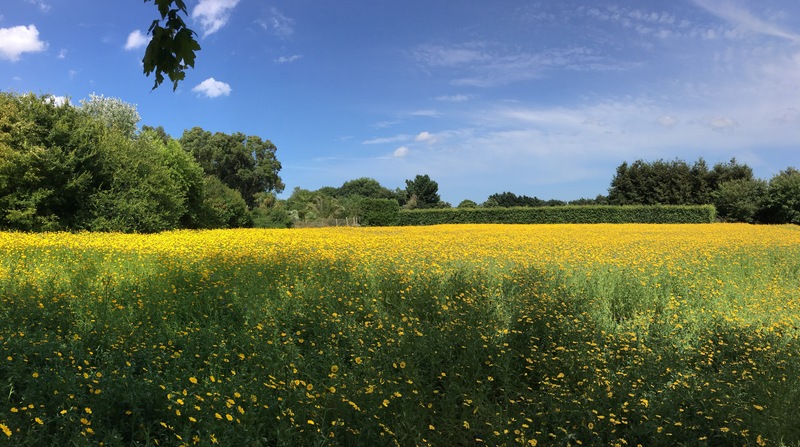 Loved this sunny wild flower meadow. Got lots of container planting inspiration. Much scribbling down of names and taking of photos went on. Just look at the size of that brugmansia! You can see why it is called angel’s trumpets. The scent is out of this world. It’s underplanted with yellow argyranthemum, purple verbena, and lobelia. There’s even a grey-leaved melianthus squeezed in. Such an enticing entrance to an archway. Every second word we used had “exotic” in front of it! Loved this avenue of cannas planted with blue verbena bonariensis and orange tagetes. 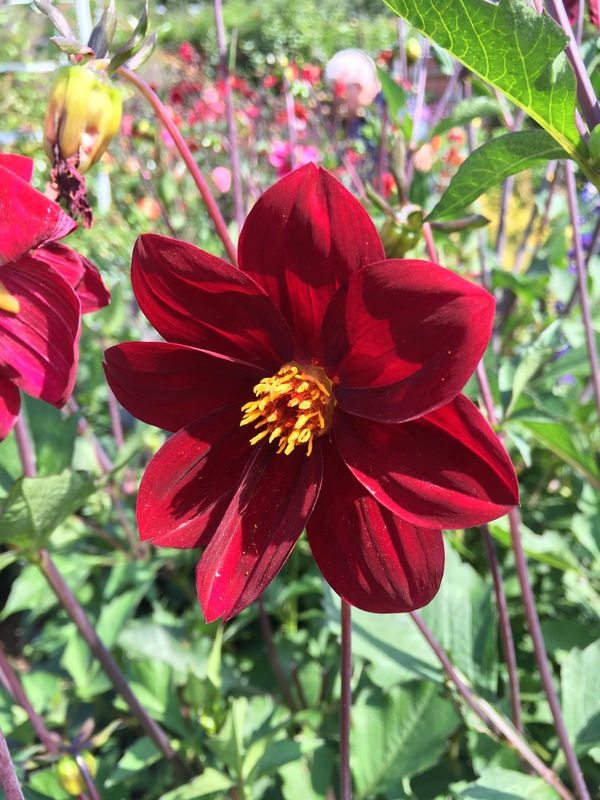 Saw two sumptuous deep red dahlias. Sadly no labels so we don’t know the names. I’m searching books though, so will post an update when I know for certain. 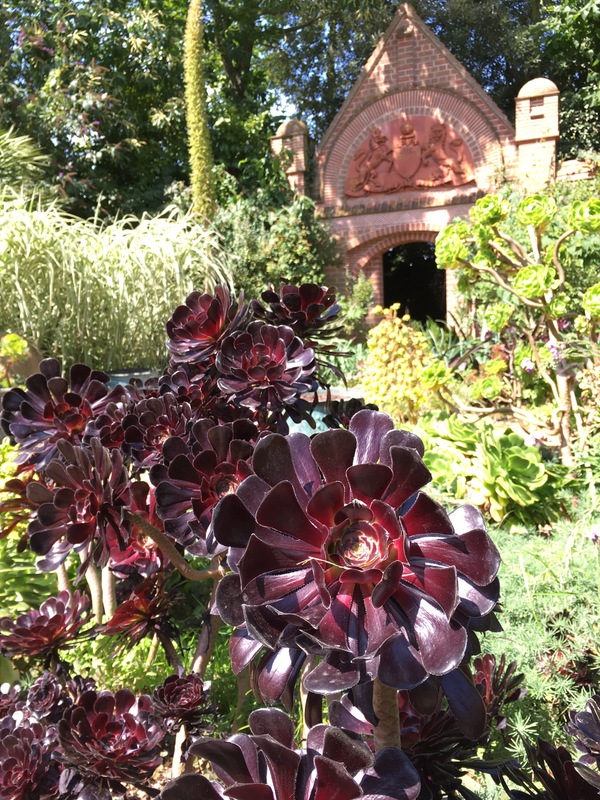 I grow this tender purple-leaved Aeonium plant in the greenhouse at home. I might set it outdoors for the summer, now I’ve seen how lovely it looks. Also have this blue-tinged echeveria in a pot in my greenhouse. And I’ve got this Stewart Garden low planter which looks like stone, but is actually plastic. Much lighter to carry in and out of the greenhouse. Should NOT have looked at the plant sales area. Fell in love with these two dahlias. Can’t wait to get home to plant them in my cut flower patch. Here’s a quick look at the barn we stayed in. It gets a five star rating from us. More information to follow. Do get in touch and let me know what you have been up to this week. It’s been sunny and hot in Norfolk and I’m expecting to arrive home to a lot of weeding and dead heading on the plot! 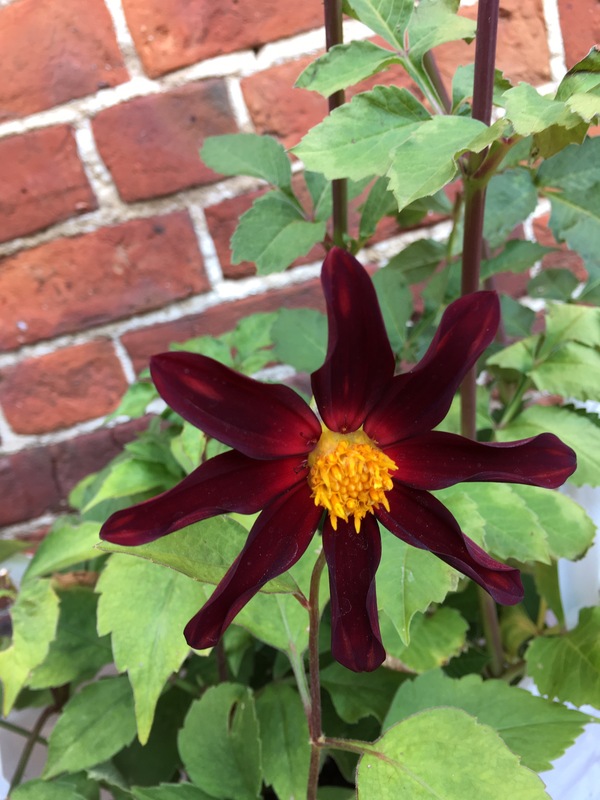 The unlabelled dahlias look like my D. Bishop’s Children which I grew from a packet of Sarah Raven seed. I planted out five on my plot and gave lots away. I wish my echeverias would flower. They keep having babies which I detach and pot on for friends which is maybe where I’m going wrong. Your new dahlias look scrumptious. I visited Great Dixter on the 11 July, that is before the rain came, and the dahlias were to die for. Oh my they are all beautiful! And once again your post is magical! I so wished I could see all these lovely gardens with you and your mother. Be still my heart! Those dahlias are beautiful! Thanks for posting. 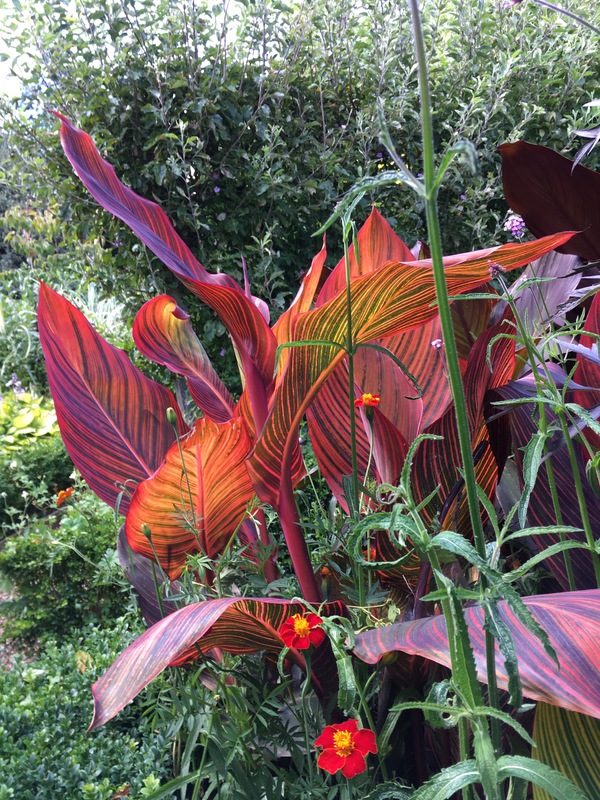 I love this garden, so full of exciting ideas. 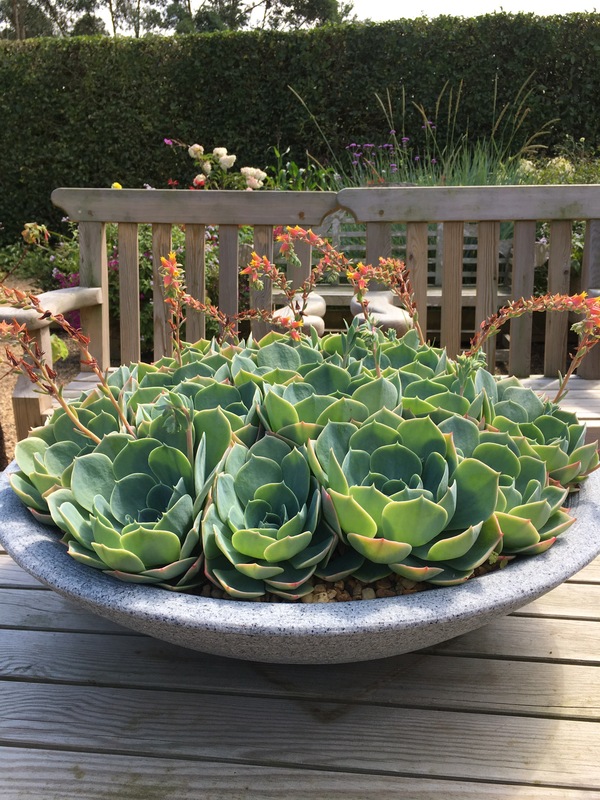 The succulent garden is amazing and those wonderful pots. I usually visit it in late summer but I would love to see it in spring too. Lovely post and pictures. 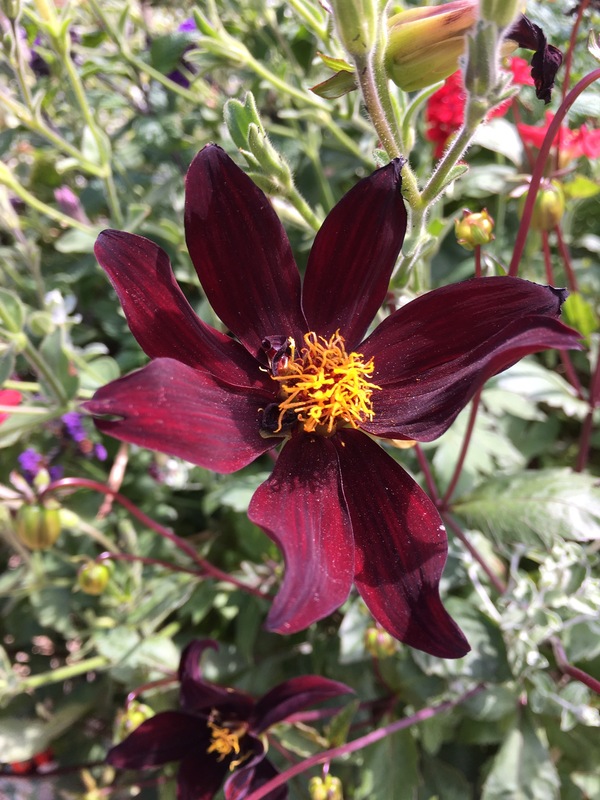 I like the look of that unknown deep red dahlia. Thank you Mike. We were so lucky- we missed the rain. Poured down as soon as we got home, which was good for the plot. The calendulas are looking amazing this year aren’t they. They have long stems which is great for posies. 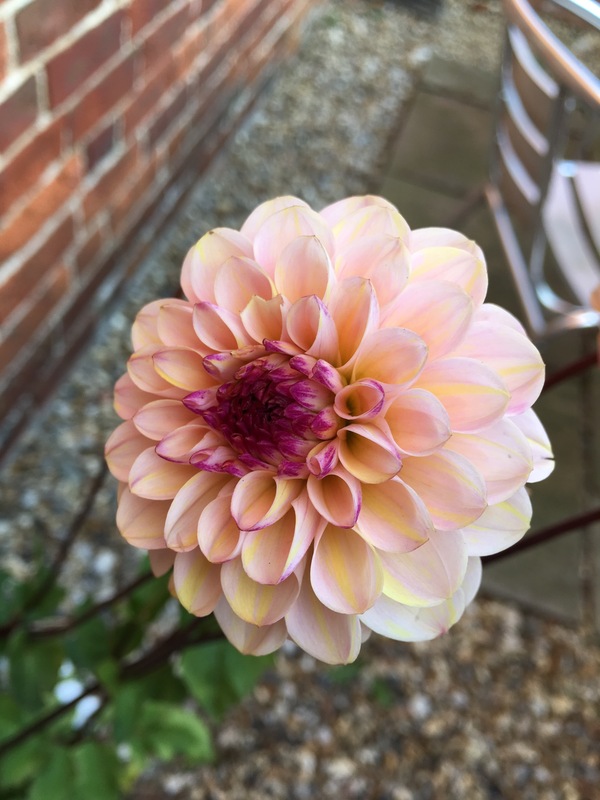 Lovely dahlias! My solitary plant has just started to flower too, banished to slug proof isolation in a big planter. Glad you are seeing so many lovely places! We visited this garden a few years ago when holidaying in Norfolk, it is one of the most inspirational gardens in the country. When you revisit try to make time for Bressingham Gardens, different but equally outstanding. Thank you Brian. We plan to return in September! Karen the meadow of wildflowers is very beautiful. 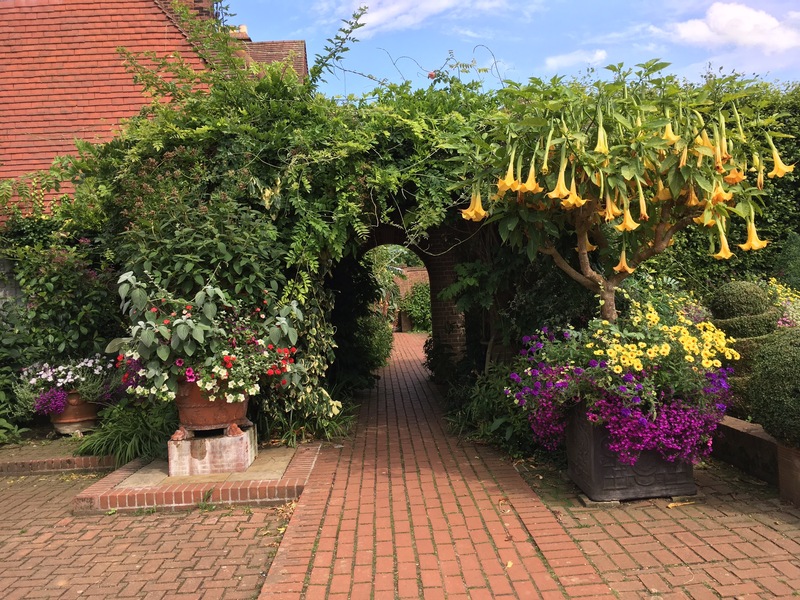 The Brugmansia and the arch are wonderful. The Aeoniun plant of purple leaves is wonderful. Las Dalias is beautiful. All the photos are magnificent Karen. If I did not live in Spain I would love to visit with you and your Mother all the beautiful gardens you go to. Greetings from Margarita. Looks lovely, another garden I have yet to visit!